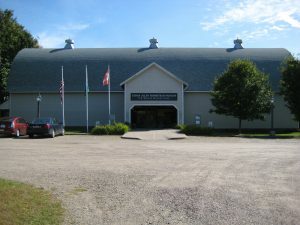 The WVPD manages several facilities at the Ethan Allen Homestead that can be rented on an hourly, daily or weekly basis. Contact info@wvpd.org or call (802) 863-5744 for space availability, to request a rental application, or for more information about the available facilities. 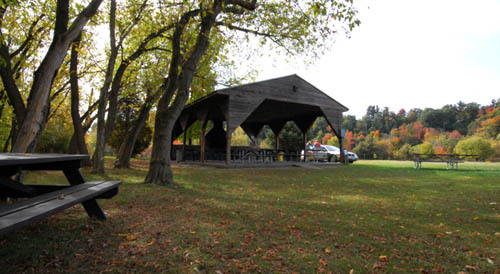 The WVPD’s open-air picnic shelter is available for rent spring through fall. 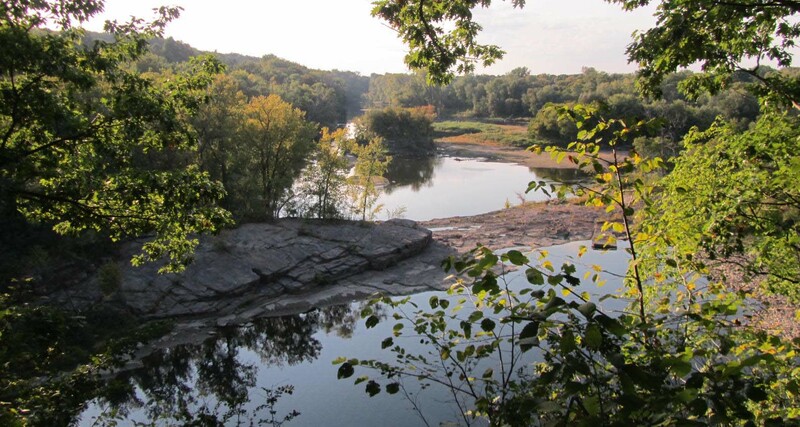 Just a short distance from the Ethan Allen Homestead’s walking trails, Winooski River canoe and kayak access, community gardens, and the Ethan Allen Homestead Museum and Historic Allen House. Requests for renting the picnic shelter at the Ethan Allen Homestead must be made at least ten (10) days in advance of the desired reservation date and a completed rental application & agreement, full rental fee, and damage deposit must be received by the WVPD at least one (1) week in advance in order to secure the rental space. Eight (8) picnic tables that seat 8-10 people each. Additional tables can be made available upon request. Electricity: four (4) 20 amp outlets with two plugs each. Water fountain with hose hook-up available seasonally. Two (2) trash barrels and one (1) barrel for recyclables. Once the provided barrels are full, remaining refuse must be carried out of the park by the renting party. Fire place with cook grates. Additional small, portable cook grills may be used with prior permission from the WVPD. The collection and burning of fire wood is prohibited. Wood brought from outside the park is prohibited. Two (2) out-house style toilets are located near the picnic shelter. Additional toilet facilities are located near the WVPD office in the garage building at the end of the main parking lot. Non-Special Events*: $75.00 refundable damage deposit required regardless of size or duration of rental. *Non-special events may be subject to impact fees as determined by the WVPD. Special Events: Defined as any event, regardless of the number of people attending, that will be serving catered food and/or alcoholic beverages by a licensed vendor, and/or require additional equipment, including, but not limited to, catering service equipment, food trucks, port-o-lets, recreation equipment, etc. The WVPD requires a Certificate of Insurance from any and all caterers, vendors, food trucks, third party rental services, etc. with a $2million aggregate and with the Winooski Valley Park District listed as a named insured. Certificate of Insurance must be submitted to the WVPD no later than two weeks before the date of the proposed event. Special events are approved by the WVPD on a case-by-case basis; the WVPD reserves the right to deny or reject the application of special events. Fees for Special Events will be based on size and type of event as determined by the WVPD contact info@wvpd.org for more information. Maximum capacity for the picnic shelter is 65 people. Larger groups up to 100 may be accommodated on a case-by-case basis as determined by the WVPD, and are subject to additional fees. The park is closed and the gate locked each night at dusk. Dusk is defined as 30 minutes after sunset; the gate will not be open later than 9:00pm during the season. Shelter rentals are required to be cleaned up and vacated no later than 30 minutes prior to dusk; at the latest 8:30pm during the season. Alcohol is allowed, however it cannot be dispensed from a central location unless by a licensed caterer/vendor. Glass containers of any kind are NOT allowed in the park or picnic shelter area. Amplified music of any kind is not allowed. This includes the use of cars or car stereos. Pets are allowed in the park, but must be kept on a leash at all times and may not be left unattended. All pet waste must be immediately cleaned up and properly disposed of. Parking is limited for the picnic shelter and at the Ethan Allen Homestead. Larger events require appointing a parking attendant, which is the responsibility of the renting party. Coordination of caterers, food trucks, port-o-lets, additional equipment, etc. are the full responsibility of the renting party and subject to additional impact fees. The WVPD requires a certificate of insurance from any and all caterers, vendors, food trucks, etc. There are caretakers on site at the park that may be available to help with technical issues that may arise during rental events, but the WVPD does not provide any onsite support for set up or clean up. That is the sole responsibility of the renting party. The Ethan Allen Homestead is a busy public park, and we remind picnic shelter renters that other park users will be on site for a variety of reasons and other uses during the day. Please be respectful of the space and other users, especially when it comes to noise and parking. Contact info@wvpd.org for shelter availability and to make your reservation today! The Ethan Allen Homestead Museum’s “Tavern Room” holds up to 50 people with access to high-speed Burlington Telecom service and a projector for films and presentations. The space can be set up as a lecture-style for speakers and talks, or as a classroom-style with table and chairs for a workshop. This space has limited availability during the Museum’s open season, May – October; please contact info@ethanallenhomestead.org to check availability. We welcome local business and organizations to use our facilities for public educational programs or training’s! Please contact info@wvpd.org or call (802) 863-5744 for more information on how we can accommodate your needs.